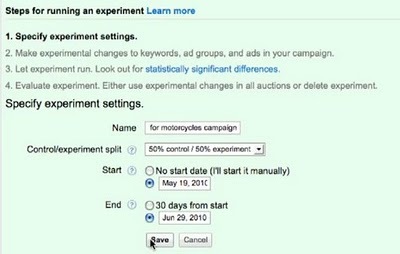 Google has announced the beta trial of AdWords Campaign Experiments, or ACE, a new tool designed to help advertisers test campaign changes. The tool takes the form of a ‘simultaneous split test’, allowing users to run a new or modified campaign alongside the original, ensuring greater accuracy in test results. Previously, AdWords users could only keep an eye on the success of any ad changes by measuring how the campaign was faring before the changes were made. As the Google Inside AdWords blog points out, this style of testing can’t account for external events that happen as the test takes place. Weekends, holidays and user behaviour have been cited as just some of the occurrences, largely out of the advertiser’s control, which may affect a campaign during a test. This is where Campaign Experiments steps in. By allowing the user to run their original campaign alongside the new experimental one, the results from the test can then provide far more precise statistics. Measuring both campaigns simultaneously ensures any differences noted in test results are definitely down to campaign changes as opposed to other events. 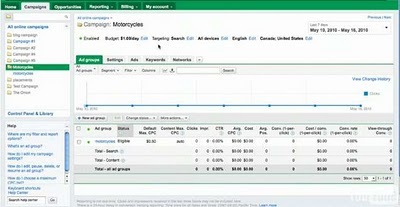 "ACE allows you to perform faster, more accurate tests by executing your experimental campaign alongside your original campaign," Product Marketing Manager Courtney Lischke posted on the Inside AdWords blog this week. "By performing this type of simultaneous split test, we can tell you precisely if your campaign changes produce statistically significant results." Unfortunately, the beta test of the tool is only currently available to advertisers in the US but, as Google is always trying to work with marketers to improve their service, we’re sure they are keen to get the ball rolling on a worldwide release as soon as possible.